Have you decided how to use your Lay’s Chip Trip points this summer? John and I have been making a list and narrowing down our choices on what we would like to do for sure and what we will do if there’s still time left over. I live in the Annapolis Valley in Nova Scotia which is about a 2 hour drive from Halifax. There’s 54 trips for the province and many of them are very appealing. It’s a hard choice and I would go on them all if there was enough time! Our points so far have been put towards activities we can do in our local area. The $5 Subway Gift Card is just 30 points and it comes via snail mail. I have already submitted my request and am just waiting for my card to arrive. I love their Seafood Subs and the Meatball Subs so it will go towards one of those for sure! Can’t wait! We also took my two girls out to dinner at Boston Pizza in New Minas, NS. For only 10 points, you can either get 4 free cans of Pepsi or 1 Kid’s Meal for free. 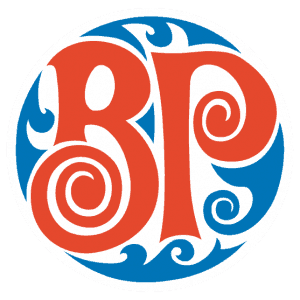 Bridget and Olivia’s favourite restaurant is Boston Pizza so they were really excited to go. John and I also like Boston Pizza and our favourites are the Calamari and Yam fries. Yum! Dinner was delicious as always. The kids each had their favourite Kid Meals. Bridget gets the Grilled Cheese with Caeser Salad and Olivia gets the Pepperoni Pizza with a side of fries. My meal was also amazing. I am hungry just thinking of those yam fries. You need to try them when you go there!! They are sooooo good! Mariner’s Cruises- A Whale and Seabird Tour that’s 20 points and you get 50% off cruise admission. Silver Dart Lodge- Stay at this lodge in Cape Breton; it’s 50 points for BOGO. I am hoping we can do at least one of these maybe more! Which one would you pick? If you haven’t joined Lay’s Chip Trips Programs, then sign up today! Its really easy to earn points and they add up so fast. In no time at all you will be able to get freebies on discounts on awesome attractions in your province. 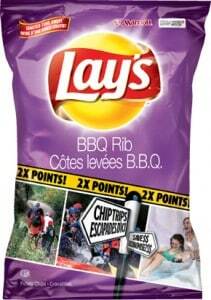 I am participating in the Lay’s® Chip Trips program by Mom Central on behalf of Frito Lay Canada. I received Lay’s® Chip Trip points and a gift card to off-set my trip costs to facilitate this post. The opinions on this blog are my own. Just watch the terms and conditions. I printed off a voucher for Boston Pizza and after I printed it I read the terms and conditions. It turned out it was not valid in BC which is where I live. I emailed them and they credited my points but what a nuisance.